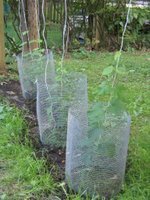 First, you can read the entire Growing Hops thread now that I have linked them all together for you. Open this one first to start the tour from rhizomes to bines :-) Now on with the latest installment! Last night after work I measured the Cascade bine at over 90 inches. Its growth has slowed a bit over the last few days due to the lack of sun. Of course with the several inches of rain we received (sheesh), I'm sure that will change over the next few days. It will as long as we get some sun. 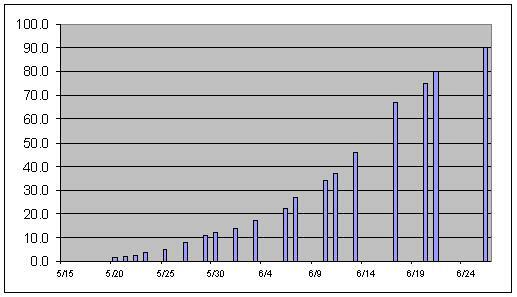 Check out the growth chart below to see the growth trend of the largest Cascade hops plant over the last fifty days or so. 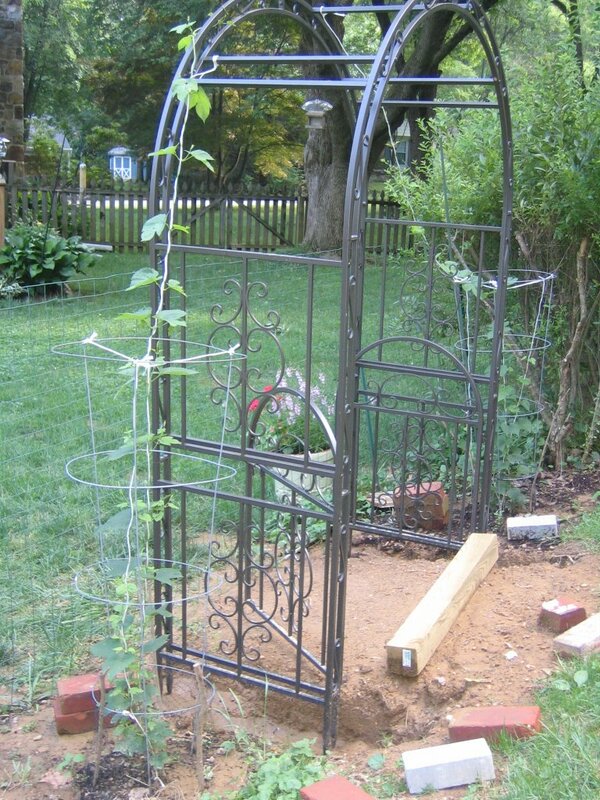 BTW You can see in the picture that the arbor is in place. It needs some TLC, but, we're getting there slowly but surely. 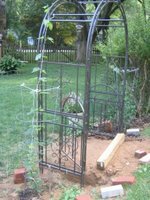 I attached the Cascade hops bines to the arbor temporarily just so they would have somewhere to grow. I also noticed new shoots coming off the bine laterally where each set of leaves are attached. That is soo cool. They will certainly take over this arbor by the end of the summer! I can't wait! 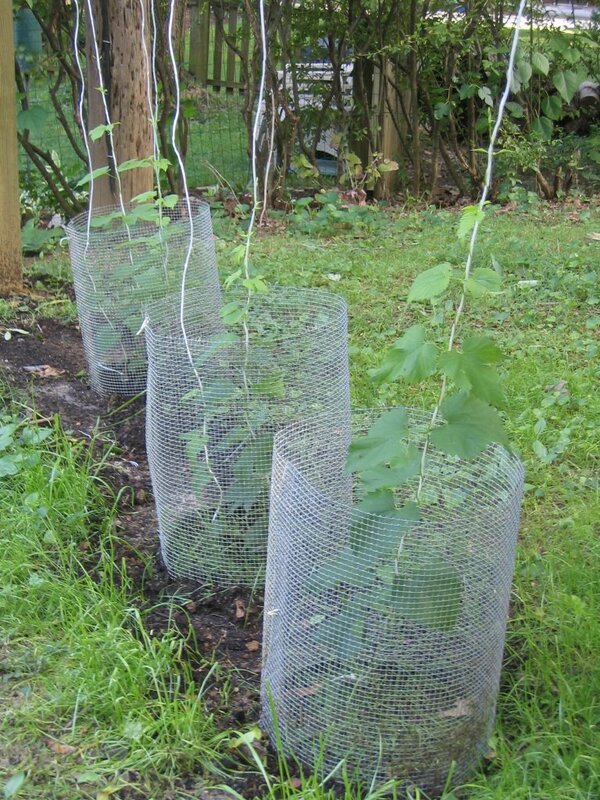 I also included a picture of some of the other hops plants. They should really take off over the next few days. All except the one little one that keeps getting broken off. I'm just hoping that it will make it to next year. And as I'm sure some of you know, hops love sunlight. I think we're proving that again. The two Cascade plants are really going crazy out there away from the trees. The others are in the shadows and receiving less direct sunlight. Yeah I know, they were planted later than the Cascade, but, the sun just doesn't shine over there long enough during the day for them to keep pace. So remember that, if you choose to grow hops. You know, I've been thinking about trying a timelapse video ever since I started growing these. What do you think? Should I take one? How cool would that be to see a video of hops growing?! Drop me a comment to let me know. I'm pretty sure I found the right software. My camera doesn't have a timelapse feature built in so I'll need to use software on the laptop to control my camera. UPDATE: I eventually did shoot a time lapse video.